Dragon Boat Festival or Duanwu festival is a Chinese festival celebrated on the 5th day of 5th month in the Chinese lunar calender. It is also known as Dumpling festival as the main celebration includes the eating of rice flour Dumplings and dragon boat racing. China is the birth place of this festival but also celebrated in Taiwan, Singapore and Malaysia where there is a significant amount of Chinese population. The annual Dragon Boat Festival in Singapore invites national and international teams to race along in decorated dragon boats. 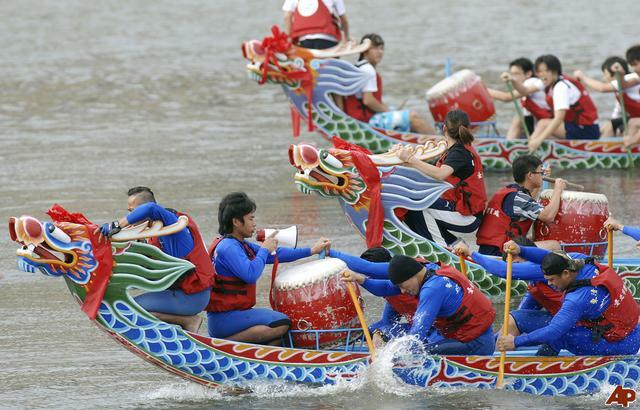 The dragon boat race crew consists of 22 athletic members paddling furiously to the rhythm of a drummer sitting at the head.